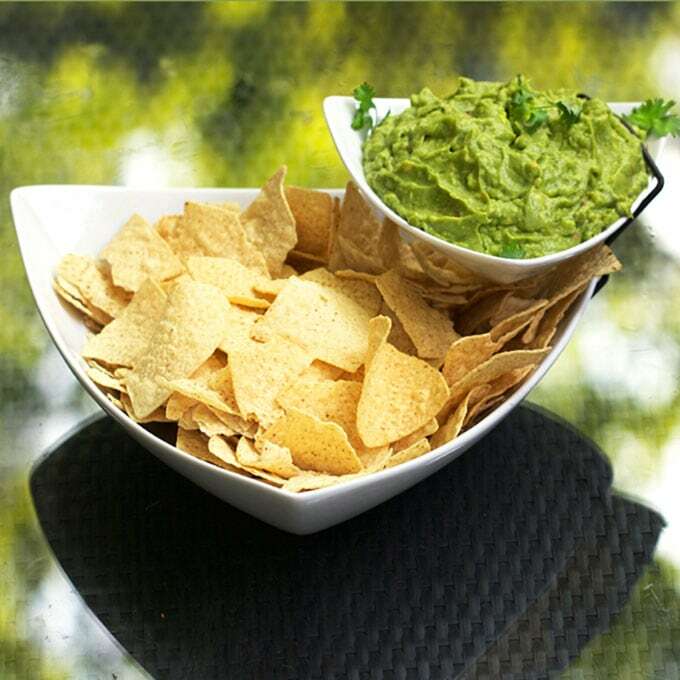 It seems to me guacamole is an appetizer that everyone is always happy to see. Creamy green with zesty lemon or lime and bits of onion, garlic and cilantro. Nothing is more inviting to dip a salty tortilla chip. I’m a big fan of avocados, in general. They taste great and have a rich buttery consistency. In addition, they’re extremely healthy – packed with lots of vitamins and fiber, and high in monounsaturated fat, which is the healthy kind of fat. Avocados don’t look or taste like the typical fruit, but they are fruit and they grow on trees. The avocado tree originated in southern Mexico, where the invention of guacamole, by the Aztecs, has been traced to the early 16th century. (Though I’m not sure they could have enjoyed it as much as we do now, since they didn’t have tortilla chips or Margaritas back then) Mexico is where it all started and Mexico is still, by far, the world leader in avocado production, yielding more than 1 million metric tons of the fruit per year (according to FAOSTAT). 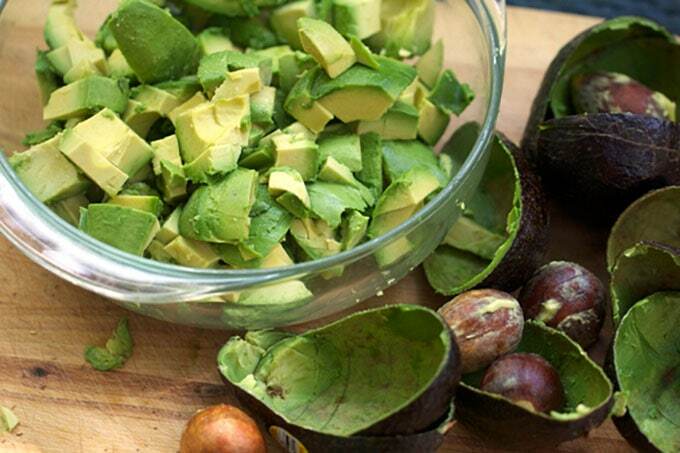 The USA is among the top ten avocado producing countries with a yield of about 200,000 metric tons per year. Due to the fact that avocados ripen after they’re harvested, you’ll often find rock hard ones at the store that have a ways to go before they’re ready to be eaten. I generally buy ripe avocados up to a day ahead and store them in the fridge, which keeps them from getting overripe. 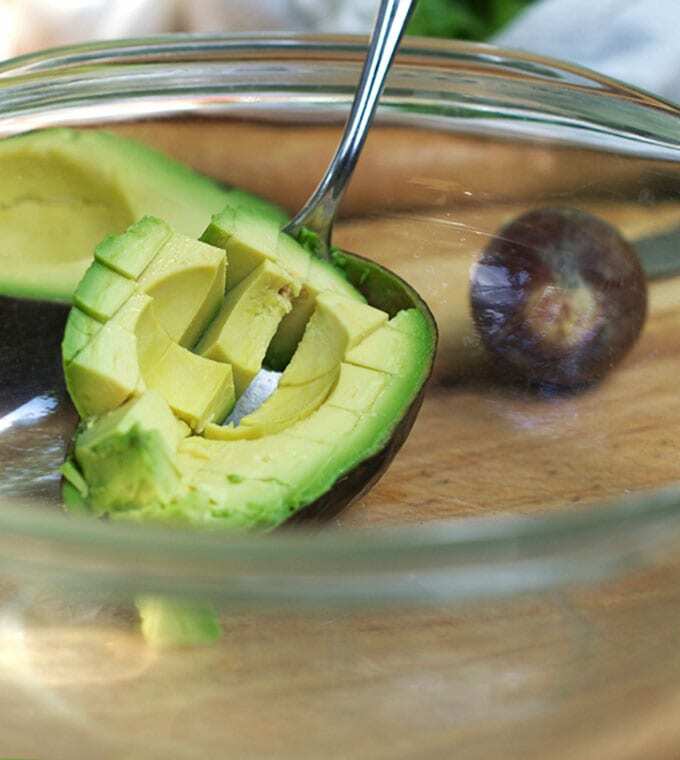 An avocado is perfectly ripe when it’s pretty firm but has a little give when you press on it with your thumb. Don’t buy avocados if they’re mushy or have any indents because they’re probably past their prime. After I cut them in half and remove the pit, I like to score them with a knife, so when I spoon them into a bowl, they’re easier to mash. Some people like their guacamole creamy. I like mine with some texture. It’s a matter of taste. Mash them to your desired consistency. 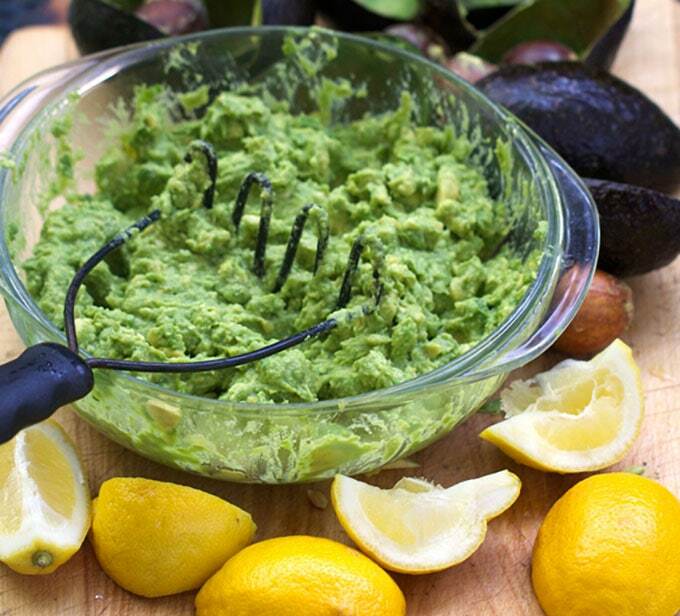 Add lemon or lime juice quickly to prevent browning and preserve the beautiful green color. I like to add fresh tomatoes, onions and cilantro, but in a pinch a few tablespoons of bottled salsa also does the trick. If you’re wondering where I got the fun tiered chip and dip server, it was a hostess gift from my friend Sheryl who tipped me off that she found it at Bed, Bath and Beyond. I hope you have a great 4th of July weekend! 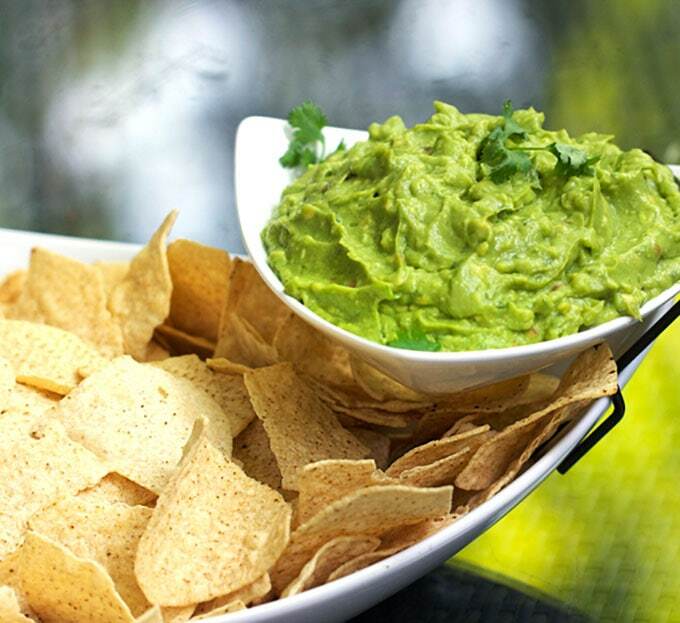 Guacamole is a delicious, healthy dip for tortilla chips. It’s also great with chili, fajitas and many other Mexican foods. 2 medium garlic cloves, peeled and pressed or finely diced and mashed with a pinch of salt, using the curved part of a fork. 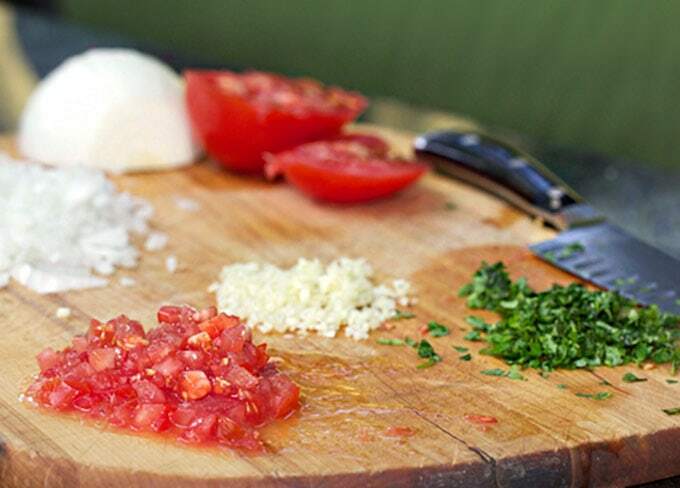 *Note: a great substitute for the fresh salsa add-ins is 3 tablespoons of your favorite tomato salsa. This works extremely well and is especially helpful when good fresh tomatoes aren’t available. You can still add extra onion and cilantro. 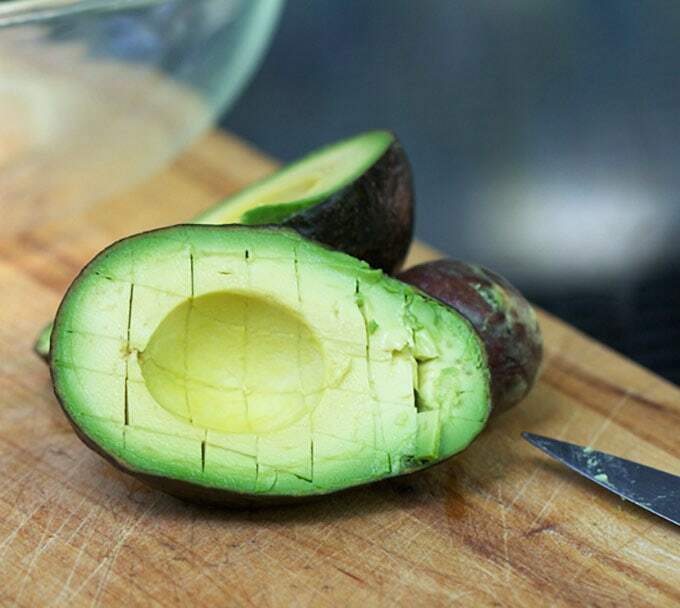 Cut the avocados in half. Remove the pit and scoop the flesh into a medium sized bowl. Pour the lemon or lime juice on top right away to prevent browning. Mash with a fork or a masher to your desired consistency. Add the rest of the ingredients and stir to combine. Serve immediately. Awesome recipe. I love guacamole it’s my favourite thing in the world! 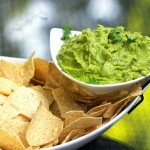 Here is another simple guacamole recipe you might like to try. Thank you for sharing – your recipe looks great! Just made it – delicious recipe Lisa! Also, enjoyed reading your blog; no wonder the Aztec’s were such a violent tribe…I’d be pretty feisty too if I had guacamole without chips + margaritas! Just in time for Fourth of July! Great recipe and perfect timing.